Rituximab plus lenalidomide immunotherapy may be an effective alternative to chemotherapy for patients with follicular lymphoma. Rituximab with chemotherapy followed by rituximab maintenance treatment is highly effective and leads to good survival outcomes among patients with FL. 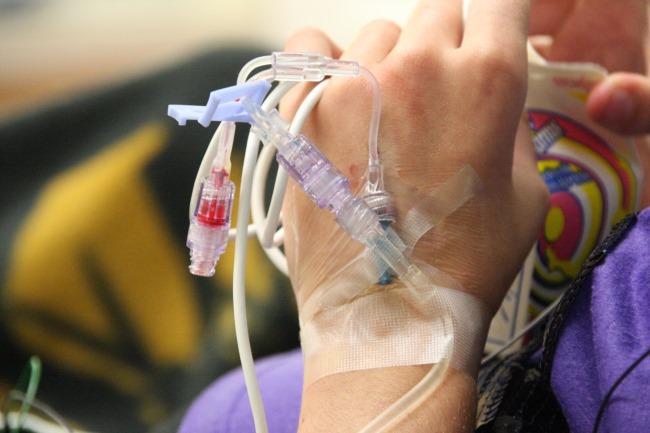 Chemotherapy, however, is associated with severe toxicities including myelosuppression, immunosuppression, and gastrointestinal and cardiac adverse events (AE). Despite treatment with medications, many patients will relapse. Immunotherapy may be an effective alternative. For the RELEVANCE phase 3 companion studies (ClinicalTrials.gov Identifiers: NCT01476787, NCT01650701), researchers randomly assigned 1030 patients to rituximab plus lenalidomide or investigator’s choice of 3 rituximab-based chemotherapy regimens; all patients received maintenance monotherapy with rituximab. Eligible patients had CD20-positive FL and had not received any drug treatment for FL prior to the current study. Results showed that after 120 weeks, the response rate was similar between the 2 study arms. Patients in the rituximab plus lenalidomide arm had a confirmed/unconfirmed complete response of 48% (95% CI, 44-53) versus 53% (95% CI, 49-57) in the chemotherapy group (P = .13). The 3-year progression-free survival (PFS) rate was 77% (95% CI, 72-80) and 78% (95% CI, 74-82) in the rituximab plus lenalidomide arm compared with chemotherapy cohort, respectively. More than 99% of patients in either arm experienced at least 1 AE during the study, and grade 3 to grade 4 AEs occurred in 65% and 68% of patients receiving immunotherapy compared with chemotherapy, respectively. Patients in the rituximab plus chemotherapy arm had higher rates of grade 3 to grade 4 neutropenia and febrile neutropenia, and patients in the rituximab plus lenalidomide arm had higher rates of grade 3 to grade 4 cutaneous reactions. Morschhauser F, Fowler NH, Feugier P, et al. Rituximab plus lenalidomide in advanced untreated follicular lymphoma. N Engl J Med. 2018;379(10):934-947.